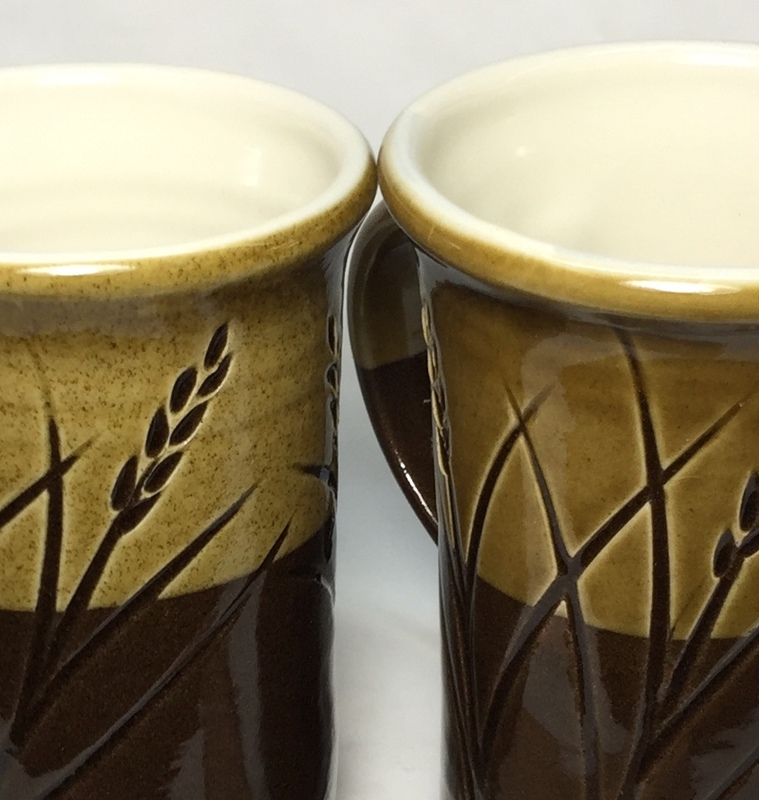 These two mugs are made from a dark red burning stoneware and fired in a cool-and-soak firing schedule. A white engobe (L3954A) has been applied on the inside and half way down the outside. Both are glazed inside with G2926B whiteware transparent glaze. The outside glaze on the left is the same transparent with 4% added iron oxide. It has been sieved to 80 mesh. Notice the iron agglomerates and still produces specking (an effect that may be desired, but difficult to keep consistent). Interestingly, that iron is producing a clear amber-colored glass about equal in color to the Alberta Slip GA6A base glaze (80% Alberta Slip, 20% Frit 3195) on the mug on the right. Neither has the micro bubbles that mar a typical clear glaze on bodies like this.